In ancient times, Mount Pangeon, famous for its gold and silver mines, was the centre of Dionysian worship. According to the legend, this is where god Dionysus was raised and got the horses of King Lycourgos drunk with local wine. 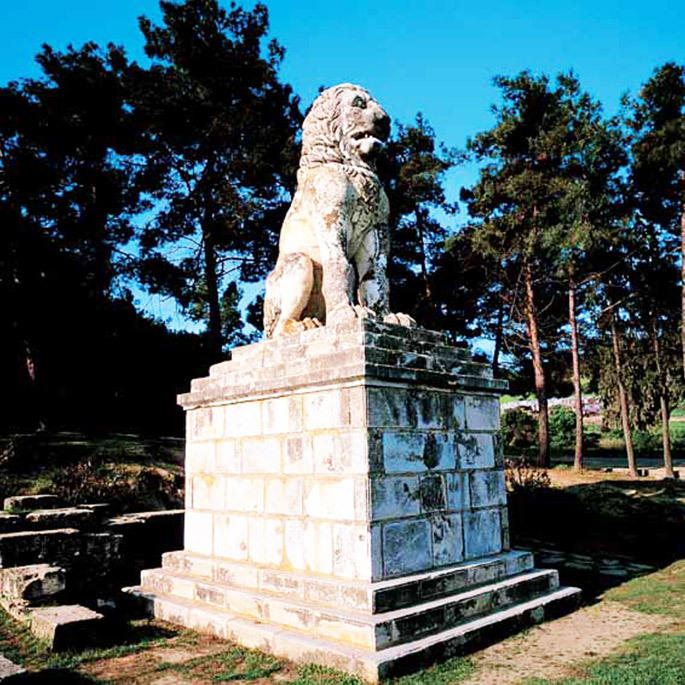 The Route of Dionysus starts at mount Pangeon, from the ancient city of Amphipolis, continuing at Kokkinohori, at Ktima Vivlia Chora and then by the seaside road to the city of Kavala. From there, it reaches Wine Art Estate in Microhori near Drama and Pavlidis Estate at Kokkinogia close to Prosotsani, 17 km west of Drama. The route continues west to the Prefecture of Serres and reaches the impressive Kerkini wetland. On the way back, it passes through Kavala and continues to the east up to Maronia in Thrace, finishing the trip at the eastern part of Greece in the town of Soufli. The estate is situated, near the village Kokkinogia (or 15-20 min by car).The first city the visitor comes across is Drama, built on the foot of Mount Falakro which the locals call “the mountain of flowers”. Sightseeing in the region is ideal for mountain and forest lovers. They will find: a ski center and four mountainous resorts, the Mara cave with multicolored stalactites and reflections, also the beautiful forest of Elati. The road from Drama leading to Kavala comes across the archaeological site of Fillippi. The excavations at the site of the ancient city and at the sideskirts revealed traces of Via Egnatia, the famous Roman market, the well known ancient theatre and many other buildings. If he climbs higher, up the Mount Pangeon, the visitor will encounter the Byzantine monastery of Icosifinitsa with the Aheropiiti Icon of the Virgin Mary, where as if he heads toward the coast he will come to the beautiful panoramic city of Kavala with the famous Byzantine castle, the Walls, and its imposing aqueduct, the Kamares. The visitor can enjoy in nearby locations beautiful beaches and fresh fish at the fish taverns. The route continues towards Thrace. It crosses Xanthi, a beautiful, oriental city with modern buildings and shopping malls close to narrow streets and mansions. It continues near Vistonida, a vast lagoon which is famous around the world as a refuge for wild birds of the Mediterranean. It makes a stop at the picturesque port of Porto Lagos. Thus, the visitor has now reached the center of the Thrace region, at Rodopi with Maronia and the Homeric Ismaros, home of the Vin de Pays Ismarikos. According to Homer in the Odyssey, clever Odysseus got the Cyclope drunk and thus he, as well as his companions were able to escape from the one-eyed monster. Today, the freshly planted vines are a sign of the recent efforts to revive and continue with the ancient wine producing tradition. The journey moves further on to the north-eastern part of Greece passing from the city of Alexandroupoli, Feres and ending in Soufli, the town with the biggest silk-producing tradition.